Think Groundhog Day with a pair of cool pre-teens instead of cranky Bill Murray. Amanda and Leo are best friends from birth… or they were until they had a falling out, especially noticeable now that they don’t celebrate their birthdays together like they used to (even though they were born on the same exact day!). 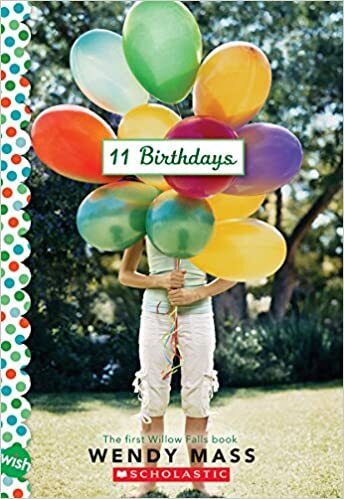 But on their 11th birthday, something weird happens. Namely, the birthday. Every time the day ends, the birthday begins again. Now these former besties have to find out what’s going on with the town or their lives or the universe and set things right. Visit a local history museum (just so you know where it is in case you ever need to solve your own temporal loop).